Prominent & Leading Manufacturer from Bengaluru, we offer ph analyzer ( transmitter & sensor), ph / orp sensors, residual chlorine analyzer, conductivity analyzer (cell with transmitter), water hardness / dissolved organics measurement and color analyzer. The pH / redox (ORP) sensing system 7600 is the result of over fifty years experience of continuous on-line pH measurement. Flow-through and immersion versions are available. Both types can be supplied in glass-coupled polypropylene. A stainless steel version is available as a flow system that caters predominantly for low-conductivity and high-temperature applications. 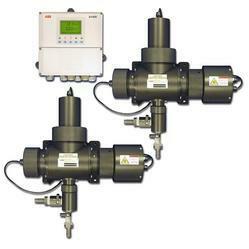 The AW401 design enables connection of up to 3 residual chlorine monitoring sensors to the system or enables pH, ORP and residual chlorine sensors to be combined, thus reducing the cost of each measurement considerably. 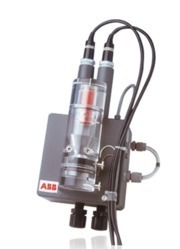 ABB conductivity analyzers are designed to meet the most exacting requirements of our valued customers. The extensive range covers 2 and 4-wire analyzers and single or dual-input devices. Our hazardous area certifications embrace FM, CSA and CENELEC ATEX intrinsic safety. 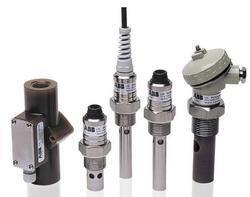 Instruments are available with HART, Profibus PA or DP, and Foundation Fieldbus communications capabilities. High accuracy technique for trace conductivities from ultrapure water to industrial rinse waters. An alternating current is passed between two electrodes in contact with a solution. The transmitter converts the resultant potential difference into conductivity, concentration or specific resistance. Auto-compensating technology for high level conductivity and concentration measurements in high-coating processes. Provides an alarm when cleaning is required. Non-contact technique providing immunity to polarisation, oily fouling and non-conducting coatings until gross fouling occurs. Measurement of the magnitude of induced current into a closed loop of solution using two embedded toroids. The Aztec 600 color analyzer has been designed specifically for the measurement of water color through the drinking water treatment process for coagulation optimization. Featuring ABB's intuitive menu-driven software and the unique self-cleaning Aztec fluid handling system, users benefit from an analyser that is both simple-to-operate and maintain. 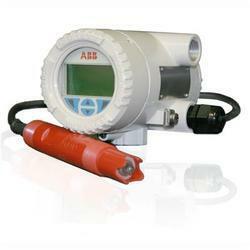 Looking for ABB Liquid analyzer ?